Hubby was getting really tired of all the raw zucchini I’ve been serving him. Even though I love zucchini noodles and raw slices as chips, hubby wasn’t even wanting a few slices in his salad. Uh oh! The garden was still producing. What’s a good wife to do? When hubby is Greek, the answer is easy; make Kolokithia! This is a healthier, vegan version of the traditional Greek zucchini dish. Hubby is happy and I am too. 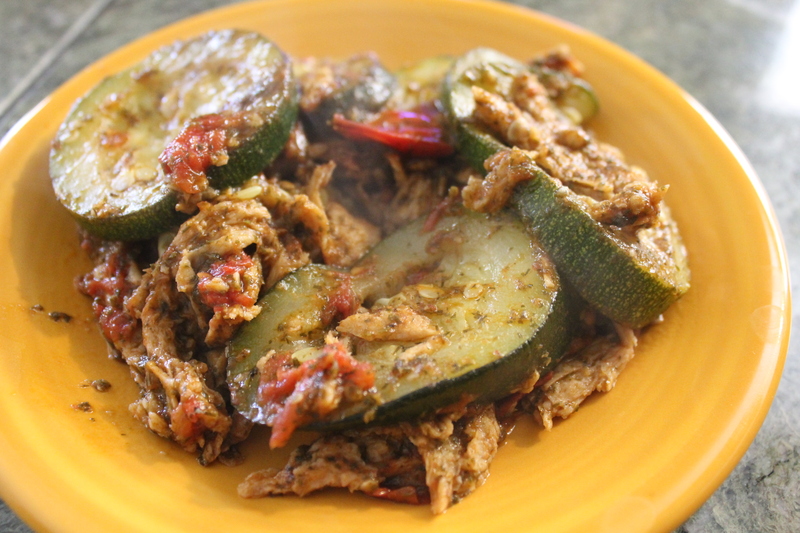 If you have tons of zucchini, make a double batch so you’ll have leftovers. Slice squash into ¼” pieces and chop tomatoes. Set aside. In large skillet, heat olive oil on medium heat and add onion and garlic. Simmer until slightly brown. Add oregano, salt, pepper, squash and tomatoes. Cover and simmer on medium-low heat and stir occasionally until squash softens. Add faux meat (optional, but nice to add if you’re making this your full meal) and simmer for a few more minutes. This entry was posted in main dishes, Recipes, side dishes and tagged cooking vegetables, gluten-free, glutenfreevegan.me, glutenfreeveganme.com, greek, healthy, kolokithia, recipe, tomatoes, vegan, vegan cooking, vegan recipes, veggies, zucchini. Bookmark the permalink.